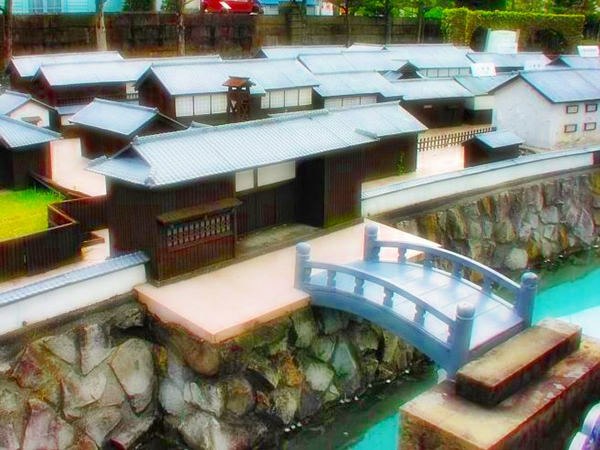 Dejima is an artificial island built in 1634 for Western people to live in. Many of them came to Japan for trade. The Tokugawa shogunate government created the island to limit the inflow of the foreigners. 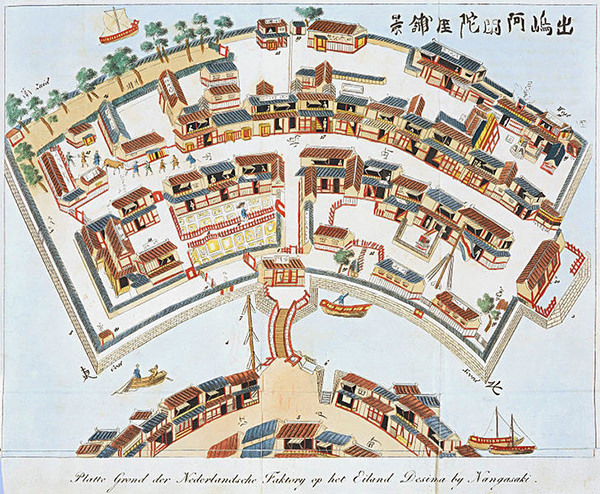 The word "dejima" literally means "protruding island". Originally, it was a fan-shaped small island. But later the water around it was reclaimed and currently it is a part of the land in Nagasaki City (refer to #126).